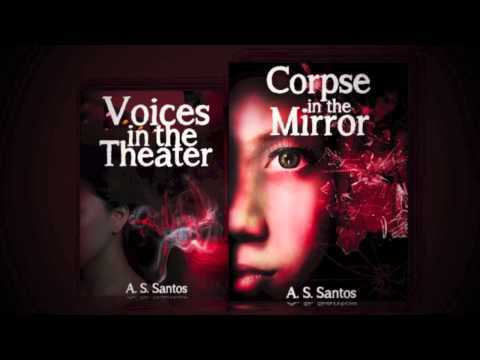 CORPSE IN THE MIRROR is the second installment of A.S. Santos’ three-book Young Adult Paranormal Romance. Follow Sam and her friends in the Student Paranormal Research Group as they encounter bizarre and often dangerous supernatural occurrences, battle demons both spiritual and psychological, and navigate adolescence and young love. In the second book of the Student Paranormal Research Group (SPRG) series, Sam’s powers are growing, and more than just hearing things, she starts seeing things. But that’s not what really is taking a lot of her attention now, because her friend and fellow SPRG member, Richard, is being all too showy with her, almost like they’re dating but they’re not. When their next case brings them to Richard’s apartment where weird things have been happening lately, Sam realizes just how much her powers have changed. Now someone they know is in trouble, and only she can help her. Just like the first book in the series, Corpse in the Mirror is very readable. It’s so easy to drop into Sam’s world (although perhaps it’s easier for me because the setting, again, was quite familiar) and be a quiet member of their group. The first few chapters of the book was equally creepy, so much that I realized I had to stop reading it when I realized I was reading it late at night, and I wanted to go to the bathroom to pee but there’s a mirror, and who knows what I’ll see there? :o But anyway, after the first initial creep-out part, it became more of a murder mystery with a supernatural twist, and it was quite interesting following the team in solving this mystery. That’s why relationships take effort. And because they do take effort, they’re more valuable when you make them work. Then throughout our lives we make different choices and take different paths, and in the process we are changed, along with our souls. We either grow and expand with enlightenment, or become corrupted and weak and confused, because our souls and bodies are linked together…every choice and action we take in our lives also affects the lives of other people — other souls — creating a huge interconnected ripple effect throughout this world and the next. We’re never really in full control of the things we feel. What we are always in control of, however, are the decisions we make and the actions we take…because of or in spite of the things we feel. Love is always a gift. Free will is what makes Love possible. You cannot force anyone to love you. Love only becomes love when it is a true and free choice. Even when hearts are broken, they still keep beating. 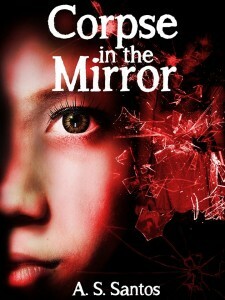 Corpse in the Mirror is out today! You can also read the first few chapters of Voices in the Theater here. 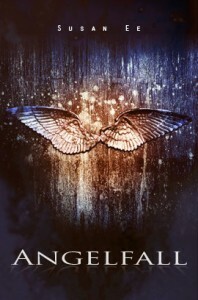 When was the last time I read a paranormal YA novel? I cannot remember anymore. That was my main hesitation when I was offered a review copy of Voices in the Theater by A.S. Santos. Other than being categorized as paranormal, the story seemed more on the horror side and I also don’t do horror stories. So what made me read this, then? A friend telling me she thinks there’s a fit. I honestly doubted it, then, but I was craving for more local fiction so I said yes. When I found myself suddenly in a place where I can’t open my paperback and just start reading, I found myself starting this book, since it was the only new one in my phone’s e-reader. It’s not the freak part that got me, but the school — this book is set in my alma mater! :D How exciting is that? Talk about anchoring it in real life things. 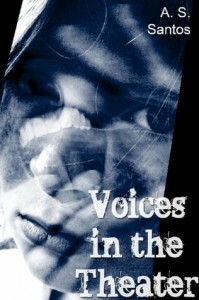 Voices in the Theater is the first book in A.S. Santos’ Student Paranormal Research Group series. We meet Samantha Davidson, a Filipina-American who has a special ability: she can hear people’s thoughts. After her grandmother died, she and her family moved to the Philippines and she tried to live a normal life, except she joined the new org in school that dabbled in the paranormal. For their first project, they investigate on the rumored haunting in the school’s theater, where Sam hears not just the voices of the dead, but other spirits, too. With these hauntings confirmed, Sam realizes that there was more to it, and there could be someone close to her that these spirits are targeting. Sam has to act fast, but she realizes that there are many supernatural powers at play that knows her past, and she’s not sure if she can summon enough faith to do what she needs to do. I was surprised with how much I enjoyed this book. Well, being set in DLSU is already a big thing for me, so I knew I would like it, but I was really surprised at how much I really liked this! Voices in the Theater reminded me of those ghost stories that my college friends and I talked about around school, the Ghost Hunters TV show with the scientific paraphernalia, that old Spirits TV show where the characters had some kind of supernatural powers, and even a bit of my favorite Peretti novels with the angels and demons talk. I know this is a lot, but they just worked together really well and I didn’t feel the least bit bored with the story. The book kept me at the edge of my seat, and there were several times that I had to stop myself from reading because I was seriously getting creeped out. But I still wanted to read because I wanted to know what happens next. Like I said, my enjoyment factor was upped because of the familiarity, and I was really thrilled when I read my old college org there, too! I liked how Voices in the Theater didn’t just deal with the paranormal but also touched a bit on faith, and what role it plays in spiritual warfare. And it’s really that — the meat of this book is spiritual warfare. I wished there was a bit more praying in the characters, but it might be asking too much. But I was glad there were praying characters there. The only thing that I probably didn’t like was the romance aspect. It might just be me, but I was almost begging the book to not have that paranormal romance aspect because…well, because I didn’t like it. I even formed my own OTP among the characters (SAM + MIGS FOREVER!). Haha. But seriously, I could do without that romance. Please don’t let it go that way? At least it was tastefully written and there’s some sort of healthy realism to it. It didn’t have that insta-love/I can’t live without you type of romance that I’ve grown to really dislike. Female heroine with sense FTW! But overall, I thought Voices in the Theater by A.S. Santos was a really, really good book. Plus points to the ending, where I can really visualize where the final scene was happening. :D And more plus points because there was a certain part of the book that reminded me of the feeling I had right after I finished reading Mina V. Esguerra’s Interim Goddess of Love. I can’t describe it exactly, but it’s the kind of feeling that makes you want to start telling others about the book you just read. Because I am definitely recommending this book to anyone who’s looking for good Filipino paranormal YA (and to anyone who studied in DLSU!). I can’t wait to read the next installment in the Student Paranormal Research Group series (what a mouthful!). :) Please come out soon! Thanks to the publisher for the review copy!